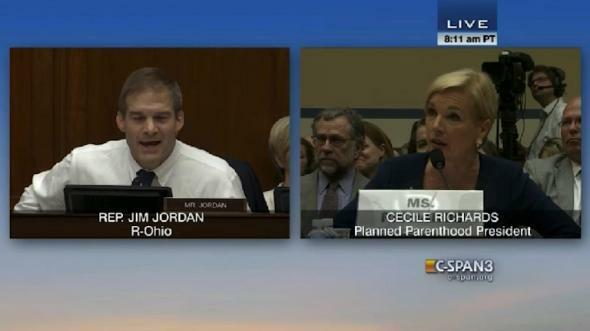 Video: Cecile Richards interrupted by Republicans during Planned Parenthood hearing. This morning, Planned Parenthood Federation of America president Cecile Richards was scheduled to testify before the Republican-controlled House Oversight and Government Reform Committee, which is ostensibly investigating the women’s healthcare provider’s use of federal funding following the release of videos that purportedly suggest that PPFA profits from fetal tissue donations. But before most of the Republican questioners, Richards didn’t end up testifying so much as simply absorbing a barrage of questions that she would begin to answer only to be interrupted, criticized, and/or talked over by Republican congressmen, as you can see in the video below.